Lincoln, RI (September 16, 2017): Tanury Industries joined more than 2,000 local volunteers to remove trash and debris from 80 coastal sites throughout Rhode Island. This initiative was part of the International Coastal Cleanup, a global event, organized by Washington, D.C. based Ocean Conservancy and locally by Save The Bay, a Rhode Island-based not-for-profit that aims to keep the Narraganset Bay clean and advocates for global waters that are healthy and accessible. 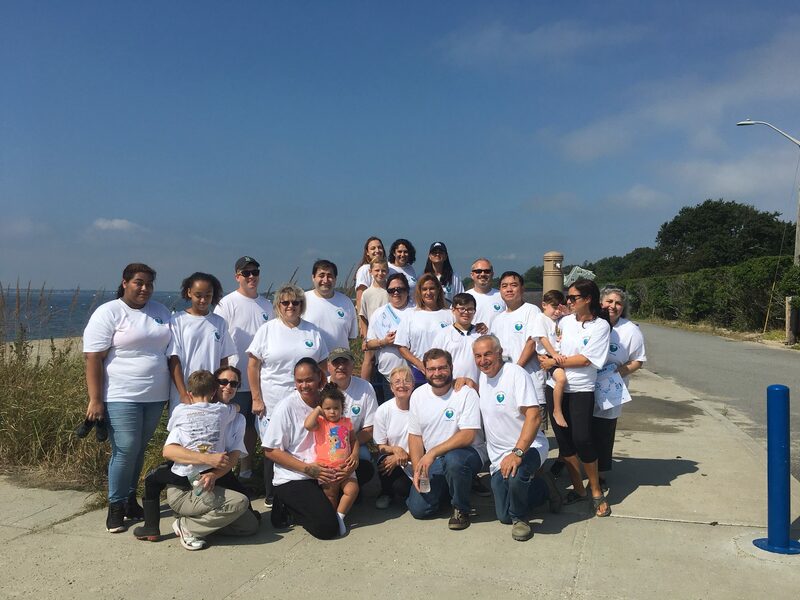 Tanury Industries sponsored the event and sent a team of 32 volunteers who helped remove over 20,000 pounds of trash and debris from 21 coastal communities, spanning 60 miles of shoreline across the state of Rhode Island. All trash collected through this effort is calculated and published in an annual global report on marine debris by the Ocean Conservancy. This report is leveraged by policymakers to raise awareness about the health of global oceans. The International Coastal Cleanup, which draws over 700,000 volunteers worldwide, is the world’s largest volunteer effort for cleaning oceans and waterways. “The Coastal Cleanup is a great event that brings the community together for the greater good of preventing pollution and protecting our oceans,” says Paula Frias, Director of Marketing at Tanury, “As a local Rhode Island business, we look forward to this event every year because of the positive environmental impact it has both locally and globally.” In addition to Tanury Industries, Save the Bay’s 2017 International Coastal Cleanup was sponsored by many other large Rhode Island based companies including, Citizens Bank and National Grid. Tanury Industries, a leader in the electroplating industry for over 70 years, has committed itself to developing and implementing processes and systems that exceed compliance standards and reduce environmental impact. This effort was recognized by the Narraganset Bay Commission with three consecutive awards for Environmental Excellence. “At Tanury, we are proud of the high standard of environmental responsibility we have set for ourselves. We are always working towards exceeding environmental compliance in our workplace, and doing our part to keep Rhode Island beautiful,” said Michael Akkaoui, President, and CEO at Tanury Industries. To learn more about Save the Bay and the International Coastal Cleanup, please contact July Lewis at jlewis@savebay.org. © 2017 Tanury. All rights reserved.